At Dentist WA Canning Vale, our dentists always seek to help our patients preserve their natural teeth. Unfortunately, there are times when it is better for your overall oral health to have a tooth removed. A dental extraction could be the first step to alleviating pain or infection before you reach the road to recovery. During your procedure, we will carefully numb the area around the tooth to minimise any discomfort. After the tooth has been removed, we may or may not need to place a few stitches in the area. We will provide you with a few instructions to follow to ensure that your mouth heals nicely. Our dentists will use a panoramic X-ray to assess their stage of development and location to determine if the rest of your smile may be at risk. 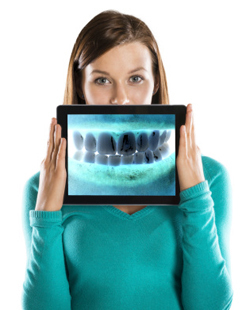 During your consultation, we can discuss whether a third molar extraction is appropriate. Ask our treatment coordinator for information on the various sedation and numbing options available to you! Your comfort is our highest priority, twilight sedation is available on-site. Speak to our treatment coordinator today to find out more.